The luxury food in gold leaf. Luxury Drinks, gold-garnished pizzas, golden marmalades, are all special dishes and very tasty edible gold special recipes ! One of the most chic edible gold special recipes and fashionable tendencies of the moment is surely that of luxury drinks, very expensive cocktails and beverages made with rare spirits, fine spices, precious objects and jewels. • “Bulgari Gold“: created by Luca Pardini of the Bulgari Hotel in Milan and served in a bowl garnished with edible gold leaf. The ingredients are: 20 cl. of Rémy Martin Louis XIII Cognac, Illy espresso coffee and chestnut honey. • “Luxury“: at the same time the most expensive and the most particular drink, Luxury was invented at the famous Nottingham Forest cocktail bar in Milan. Made with a Louis XIII Cognac aged for more than 100 years, and with Champagne Cristal Grand Reserve, it is served decorated with pure-gold leaf, in a crystal glass, and topped with a strawberry studded with a half-carat diamond. What is possibly the most expensive edible gold special recipes in the world. 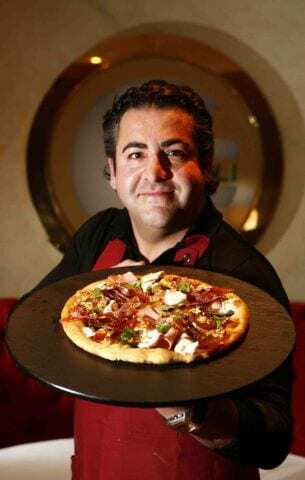 The Pizza was created by Chef Domenico Crolla to gather funds for the Fred Hollows Foundation. The pizza is sprinkled with real 24-carat edible gold and garnished with caviar splashed with champagne, cognac-marinated lobster and smoked Scotch salmon. The special pizza raised funds amounting to 2,150 pounds. In 2006, to mark their 125th year of activity, the English company F. Duerr & Son produced the most expensive marmalade in the world. The “Fine Cut Seville Orange Marmalade” is prepared with the finest Seville oranges accompanied by a rare whisky aged 62 years and champagne of 1962. All this is presented inside an elegant crystal jar. 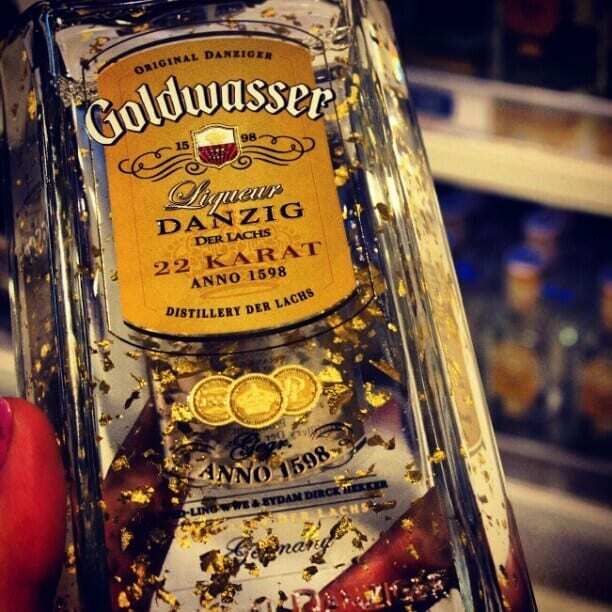 Goldwasser is a Polish herb liquor invented in Danzig in 1598. It is made from rectified spirits, with the flavour of essential oils and the distillation of many spices, but the most particular characteristic of this liquor are the small flakes of 22 or 23 carat gold it contains. Stephen Bruce, owner of Serendipity 3 in New York, has created, together with the jeweller Euphoria, the “Frozen Haute Chocolate“, a mix of 28 different types of cacao, 14 of which are among the rarest in the world, in union with 5 grams of 23-carat edible gold in a bowl decorated with edible gold. All this is topped by a cream, gold again, and by a chocolate truffle from the Knipschildt chocolate makers (costing about $6000 a kilogram). It is served to customers accompanied by a souvenir, an 18-carat gold bracelet with a 1-carat diamond, and a set of golden spoons. Are you ready to taste these impressive edible gold special recipes ?